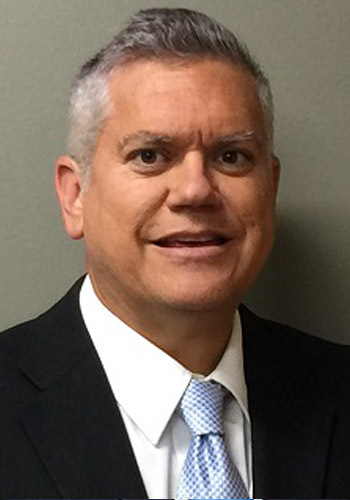 Scott M. Kyrouac - Mediator based in Terre Haute, Indiana. If you’d like a list of available dates for Scott Kyrouac, please submit a request below. You will hear back directly from Scott's assistant, Janet. Scott M. Kyrouac joined the firm in 1985 following graduation from the Indiana University School of Law -Bloomington. He completed his undergraduate work at the University of Illinois, College of Commerce, from which he graduated with “High Honors” in 1982 with a B.S. in Business Administration (Organizational Behavior.) Scott’s practice areas include commercial litigation, employment law, health law, personal injury, insurance defense, medical malpractice defense, products liability, asbestos litigation, toxic torts, municipal law, and trucking and transportation law. Scott has served as both primary counsel and as local counsel in many complex litigated matters in both State and Federal Courts. Scott has extensive experience in trying bench and jury trials throughout south central Indiana. Scott gives back to the legal profession serving in the resolution of legal disputes as both a registered civil and domestic mediator. In 2015, Scott served as President of American Board of Trial Advocates (Indiana). In 2011, Scott was elected as President of the Defense Trial Counsel of Indiana. He has served as a statewide director representing the defense bar for 12 years. Scott was recognized as Indiana Defense Lawyer of the Year in 2008. He is a member of the Defense Research Institute and holds the rank of Advocate from the American Board of Trial Advocates. Recently, Scott served as secretary of ABOTA in 2012 and was also selected as an invited member of Association of Defense Trial Attorneys by his peers. Scott’s service to the legal profession has been recognized by Martindale Hubbell with their AV rating and by AVVO with their highest ranking. In 2018, Scott was selected as one of America's Top 100 Attorneys (Life Time Achievement Award.) Scott is a member of the Terre Haute Defense Research Institute, Indiana State, and American Bar Associations. In 2012, Scott was elected as DRI State Representative for Indiana for the 2012 to 2015 term. Scott uses his extensive jury trial experience in his service as a mediator and arbitrator across a large spectrum of practice areas. He is a member of IAM as well as several colaborative law groups. Civil Mediation $250 per hour.